Happy Easter from Mockingbird Bay Resort! I hope everybody had a lovely weekend… Time to gear up for our Outdoor Writers’ Retreat featuring Plano, and brought via Arkansas State Tourism folks at Arkansas dot com in Little Rock. The festivities begin Tuesday and go through until Saturday. Frank and I have been working hard to get the resort in tip-top shape. Looking forward to meeting everybody! 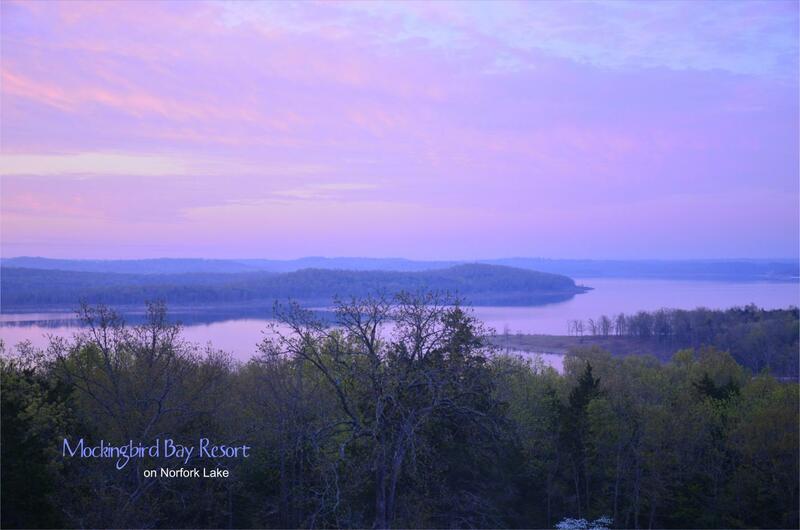 Fishing should be awesome — we have the best guides lined up to take them out on Norfork Lake for some fun in the sun. Should be a great time! Don’t forget we still have some open cabins for your summer vacation, so give us a buzz and we’ll get you on the books! This entry was posted on Monday, April 21st, 2014 at 12:27 am and is filed under Fishing, Natural Wonders, Resort Guests, Uncategorized, Zortman Family Happenings. You can follow any responses to this entry through the RSS 2.0 feed. You can leave a response, or trackback from your own site.